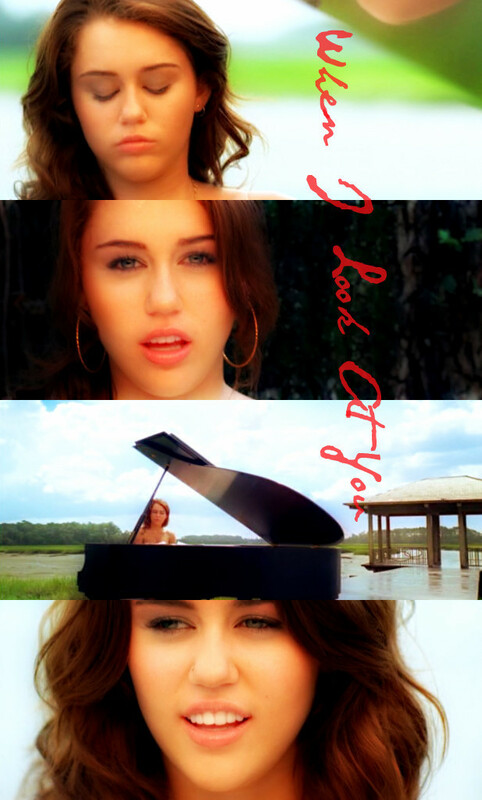 Miley Cyrus- When I Look At You!. . HD Wallpaper and background images in the Miley Cyrus club tagged: miley cyrus beautiful miley 2011 tour maribou beautiful miley cyrus. This Miley Cyrus fan art might contain ishara, bango, maandishi, ubao, matini, ubao wa chokaa, picha, headshot, and closeup.